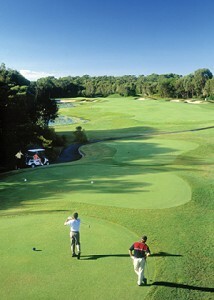 Twin Waters Golf course is internationally recognised as one of the top resort courses in Australia. Naturally it is the best on the Sunshine Coast. The course was designed by 5 times British Open champion Peter Thomson and partner Mike Wolveridge. The stunning setting and challenging layout to produce an enjoyable game of golf for all players. The Twin Waters Golf Club is a sports persons dream. Whether you are after a friendly round of golf, a game of tennis, a relaxed lunch or a fully catered golf day, you can do it in style here. So contact us on 1300 303 423 to book your game or find out more about what we can offer.